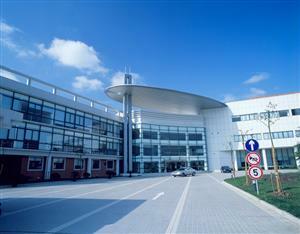 Shanghai Fudan-Zhangjiang Bio-Pharmaceutical Co., Ltd. (“FDZJ”), established in November 1996, is located in Zhangjiang Hi-Tech park, Pudong, Shanghai. The shareholders of the company are well-known companies and universities, such as Shanghai Pharmaceuticals Holding Co., Ltd., China New Enterprise Investment Fund II, Shanghai Zhangjiang Hi-tech Park Development Co., Ltd., and Shanghai Fudan Asset Operating Limited, etc. Bearing the idea of ” the more we explore, the healthier human beings will be” in mind, aiming at the establishment of an innovative bio-pharmaceutical company with the core capacity of the intellectual properties creation, the company is principally engaged in research, development, manufacture and sale of innovative bio-pharmaceutical products. After years of the unremitting efforts, the company has developed new technologies and products in the fields of genetic engineering drugs, photodynamic drugs and nano-drugs which created competitive advantages. It is planned to launch new drugs gradually in future. Depends on its preponderant capability in the bio-pharmaceutical areas, the company has tackled many R&D projects, including "National Key Project on Development of Science and Technology", "National Plan on the Hi-tech Research and Development (Project 863)"," Key Project on Important Medicine Innovation", etc. The company has been recognized as hi-tech enterprise since 1988 and authorized as “The Post-doctoral Station of Research” since 1999. The company was listed in HK GEM in August 2002(Stock Code was 8231). And the company commenced dealings in the H Shares on the Main Board of The Stock Exchange of Hong Kong Limited in December 2013, new Stock Code is 1349. Taizhou Fudan-Zhangjiang Pharmaceutical Co., Ltd., Shanghai Tracing Bio-technology Co., Ltd., Demei Derma Care Clinia Medical investment and management Co., Ltd. and Shanghai Ba Dian Medicine Co., Ltd. are the subsidiaries of FDZJ. FDZJ has rich human resource and strong technique power. About 600 high-quality employees will lead the R&D of new drugs forward for the greater progress.